Shuichi Asanuma is currently senior advisor for Agriculture and Rural Development at the Japan International Cooperation Agency (JICA). He is also research supervisor of the Program of Science and Technology Research Partnership for Sustainable Development (SATREPS) funded by Japanese Government and managed through both the Japan Science and Technology Agency (JST) and JICA. He has over 35 years of experience and knowledge in research, international research collaboration and technical assistance. His main task as a senior advisor of JICA is to provide advice to the Initiative for Nutrition and Food Security in Africa (IFNA) on the implementation of rice-promotion projects of JICA under the framework of the Coalition for African Rice Development (CARD), as well as planning for the 2nd phase. In addition, he provides advice on capacity development for higher education in Myanmar and on other agriculture and rural development projects, mainly in Africa. He plays an intermediary role between universities and JICA on higher education in agriculture and in his role as research supervisor of SATREPS, he supervises research collaboration projects on bio-resources between Universities and Research Organizations of Japan and other organizations in developing regions. After obtaining his PhD in Agriculture from Nagoya University in Japan in 1979, he worked from 1979 to 1983 on rhizobium as a post-doctoral fellow at the International Institute of Tropical Agriculture (IITA). He returned to Japan to work on soil science and plant nutrition at the Kyushu Tokai University where he spent three years. 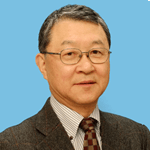 He later worked at the National Agricultural Experiment Stations located on the Hokkaido and Kyushu on soil microbiology for over 10 years, and thereafter moved to the Japan International Research Center for Agricultural Sciences (JIRCAS) in 1998. From 2003 to 2005 he served as the Director of JIRCAS Okinawa Subtropical Station. Shuichi Asanuma became a professor of the International Cooperation Center for Agricultural Education (ICCAE), Nagoya University in 2005. During his tenure at Nagoya University he led collaborative research projects on soil erosion and its rehabilitation in western Kenya, on action research on abiotic stresses of rice cultivation, and on the socio-economic factors associated with the dissemination of NERICA in the highland regions of eastern Africa. He retired in 2015 and is presently Professor Emeritus of Nagoya University.